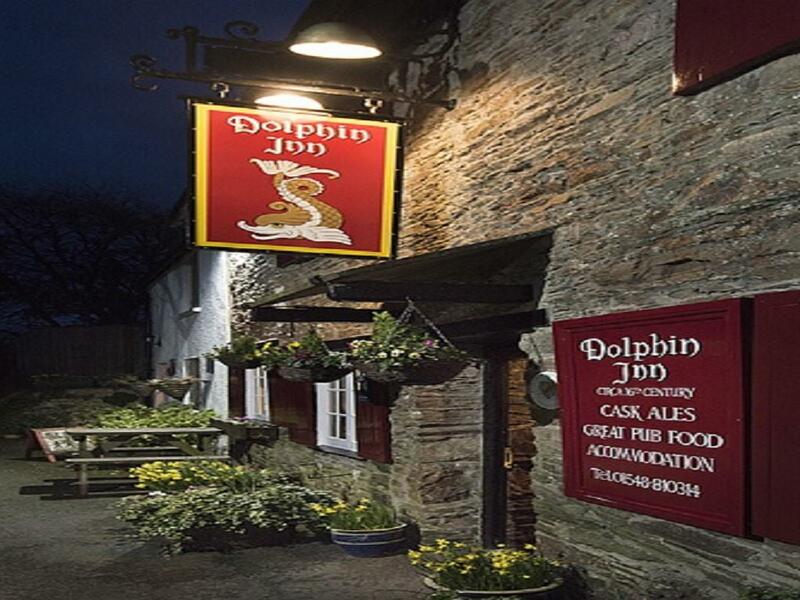 The Dolphin Inn is a beautiful 16th century olde worlde country pub. It is nestled twixt Dartmoor and the coast in the heart of the South Hams near Bigbury on Sea. Featured in the AA Good Pub Guide 2008. The Dolphin Inn serves a selection of home cooked meals using local produce and offers bed and breakfast accommodation in a traditional building opposite the pub. Take a table by the inglenook fireplaces and sample some warm hospitality and a glass of wine or some Real Ale or sit out in the garden before exploring the stunning South Devon Coastline. For instance, there is a circular two and half hour walk from the pub encompassing woodland, the estuary, the coast path and farmland. We are located in the village of Kingston with its thatched cottages, just one mile from the lovely Erme Estuary and Wonwell beach. For the adventurous, the Dolphin Inn is close to tourist beaches with surfing and windsurfing facilities. Fishing trips can also be arranged from the Erme Estuary and we are within a few miles of three golf courses. The headline says it all. A highly recommended stay for anyone walking the coastal path, the link path to the coast was really pretty and worth doing in its own right!